The eddyNCDT 3005 from Micro-Epsilon is a new, powerful eddy current measurement system for fast, high precision displacement measurements. Due to its pressure-resistant, thermally stable and compact design, the eddyNCDT 3005 is ideal for machine integration. 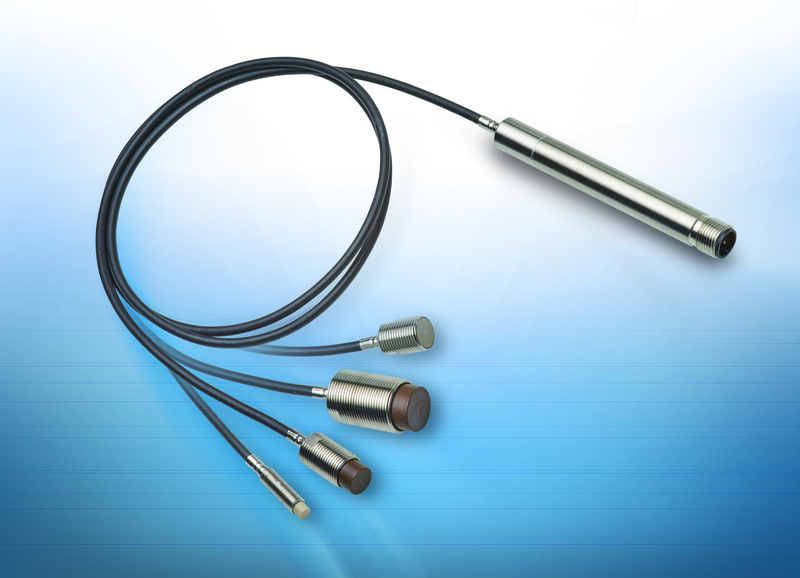 Non-contact eddy current sensors from Micro-Epsilon are designed for extremely high precision measurement of displacement, distance, position, oscillation and vibration, etc. to micrometer accuracies. Pressure, dirt, oil or high temperatures have almost no influence on measurement precision. This eddy current measurement system is particularly suitable for harsh industrial environments. As the sensor and compact controller of the eddyNCDT 3005 are temperature-compensated, outstandingly high measurement accuracies can be achieved even in high or fluctuating temperatures, e.g. in automotive production. The sensors are designed for ambient temperatures up to max. +125°C but can also be custom engineered for temperatures from -30°C to +180°C. Controller, cable and sensor are pressure-resistant up to 10 bar. Compact, robust sensor designs and high measurement accuracy, combined with a particularly favorable price/performance ratio, make these sensors suitable for high volume applications and for integration into plant, equipment and machinery.